← I Want to Cash Out My 401(k) – What Do I Need to Know? I Want to Get Out of Credit Card Debt – For Good! As Independence Day is right around the corner, how great would it be to set a plan into motion to get free from all of your credit card debt – once and for all? The truth of the matter is that credit card debt is extremely easy to get into, and that much harder to dig yourself out of. High interest rates and soaring balances on handfuls of different cards mean that you may have some significantly tough work ahead of you. The good news is: it CAN be done. If things are particularly dire, you may need to hire a NJ attorney who has a lot of experience dealing with debt resolution. However, you may be able to make some impressive strides on your own, by following some hard and fast rules. First and foremost, you have to STOP paying for things via credit card. 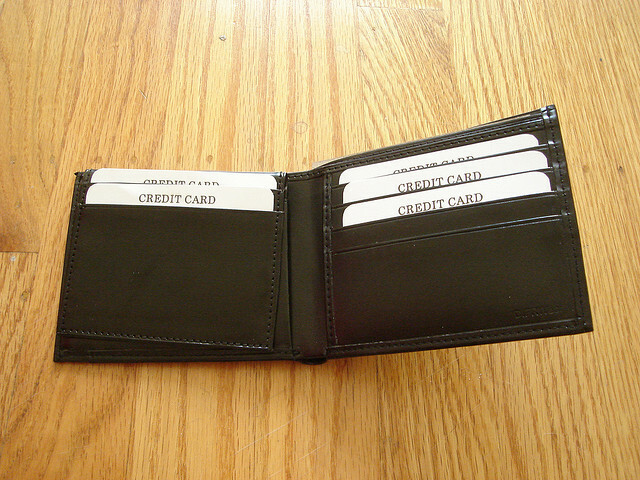 Cut up all but one card, and save that card for emergencies ONLY. Quitting the cards can be difficult, but it’s a hurdle you’ve got to get over before any real progress can be made. A word to the wise here is that it may not be beneficial to cancel out your actual accounts, even after you’ve paid them down. Opening and closing too many credit accounts can negatively affect your credit score. Next, you’ve got to get into a payment schedule that has a little kick. Your days of making minimum monthly payments are SO OVER. Anyone with high credit card balances needs to be paying more than the minimum each month, or you’ll be likely to take those balances to the grave. In order to facilitate this, you (and your partner, if applicable) will need to revamp your entire spending budget so that more of your paycheck is going toward those credit card bills each month. Ideally, try to pay triple the minimum balance every month that you possibly can. Double is great, too. Negotiating lower interest rates on your existing cards will help slow down the amount of money you’ll owe in compounded interest. Give your credit card company a call and let them know you need a lower interest rate because you’re trying to pay back the money you owe them. Most lenders like to hear from responsible borrowers, and you should find that most will gladly grant you a lower rate. If not, look around at some competing cards that offer 0% on balance transfers for a year (or more). Simply transfer the money from a high interest card to one with 0% for a year, and get busy paying as much as you possibly can each month. If you reach the end of the period for 0% interest and your balance still isn’t paid off, consider transferring your balance yet again – in the same manner. By putting these strategies into motion, you will see your balances begin to decline. Keep close track of your progress so that you can feel good about your efforts, and also to remind yourself how far you’ve come so you aren’t tempted to swipe those cards anytime soon. 10 Responses to I Want to Get Out of Credit Card Debt – For Good!